There is a lot of music in our house. Piano, guitars, drums, flute, tambourines, bongos. It’s a noisy place. It’s a lot of fun. We’re working on our family band. A Piper loves her microphone. 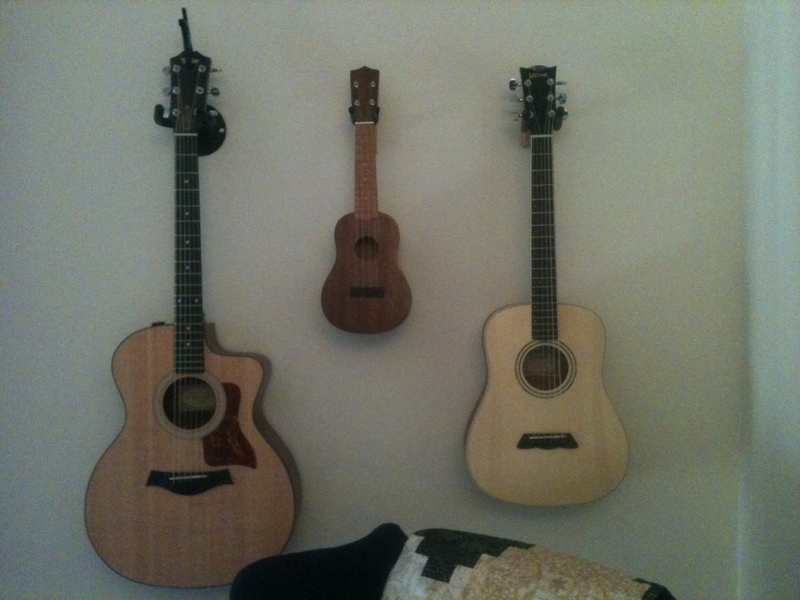 This entry was posted in Antics and Adventures and tagged baby guitars, drums, guitars, music, piano by melissa.scholes.young. Bookmark the permalink. The Tayler is a favorite. My husband adores it! I agree. My husband always says if there is a fire, grab his guitar, then the kids. I hope he’s joking.